The same thing happens with our Primroses in Cornwall – gorgeous aren’t they. Hello Fiona, lovely to see you again. Yes, I know they self-seed, but where do the other colours come from I wonder? We have some on a bank we walk past on the way to school that do this too! No cowslips there though but we did see some the other day – love cowslips. Hello Rebecca, lovely to read your comment, thanks. 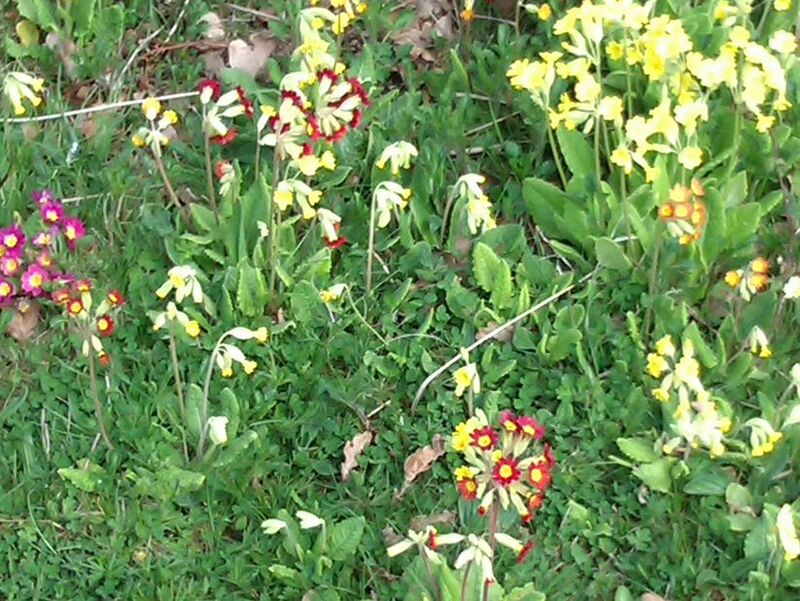 Yes, but I have never seen red coloured cowslips before. Lovely bright splash of ever increasing colour in the paddock. I love primroses and cowslips, such a beautiful sign of Spring. Thanks for this. I had to spray the paddock where they are growing… Do hope that I haven’t killed them off!